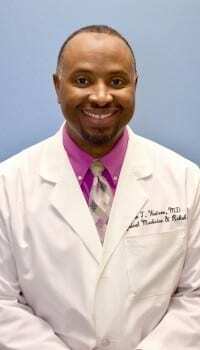 Dr. Watson is a three-time graduate of the University of Virginia completing both undergraduate and graduate degrees in Charlottesville, Virginia. He earned his medical degree at the University of Virginia Health Sciences Center. He completed a four-year residency in Physical Medicine and Rehabilitation (physiatry) where he was Chief Resident in his final year. Board certified in Physical Medicine and Rehabilitation, Dr. Watson is a fellow with the American Academy of Physical Medicine and Rehabilitation. He also is a member of the American Medical Association (AMA), the North Carolina Medical Society, and the Iredell County Medical Society. Dr. Watson currently has privileges in three local hospitals: Davis Regional Medical Center, Iredell memorial Hospital, and Hugh Chatham in Elkin, NC, the latter of which he serves as the Medical Director of the Regional Rehabilitation Center. Dr. Watson’s current practice interests include: EMG and NCS, pain management, non-surgical spine and sports care, joint and muscle injections, Botox injections (non-cosmetic), and general rehabilitation. He does perform Independent Medical Examinations (IME) and selected Workman’s Compensation cases after appropriate prior approval.